Although Ankara is the official capital of Turkey, Istanbul is considered to be the capital of cultural events. In 2010, the city was titled as the European Capital of Culture by the European Union. The city has a lot to offer to history buffs and art and culture-lovers. If you are planning to visit this breathtaking city one day, try to include Archaeological Museums of Istanbul to your itinerary, too. It is located in the Historical Sultanahmet Peninsula, near Topkapi Palace. There are hundreds of artifacts from Hellenistic, Roman, Byzantine and Ottoman times of Turkey. It has multiple buildings and exhibits. Put on your comfortable shoes and be prepared to spend at least 2-3 hours there, because it is one of the world's largest museums in the world… However, this one of its kind museum is not crowded at any time of the day that as it is not included in the tour itinerary of the most travel companies and in fact most of the travelers are not aware of its magnificent artifacts. Therefore, you can enjoy a quite and crowd-free visit. Who doesn’t like some gold-colored, crispy Turkish baklava!? The city of Gaziantep in southeast Turkey is famous for its pistachio baklava and now you probably say ‘’does this have anything to do with a mosaic museum! ?’’ Today, Gaziantep is home to the biggest mosaic museum in the world known as Zeugma Mosaic Museum. The city, overlooking the Euphrates River was very popular among wealthy Romans who had built 2nd and 3rd century villas in the city of Zeugma. 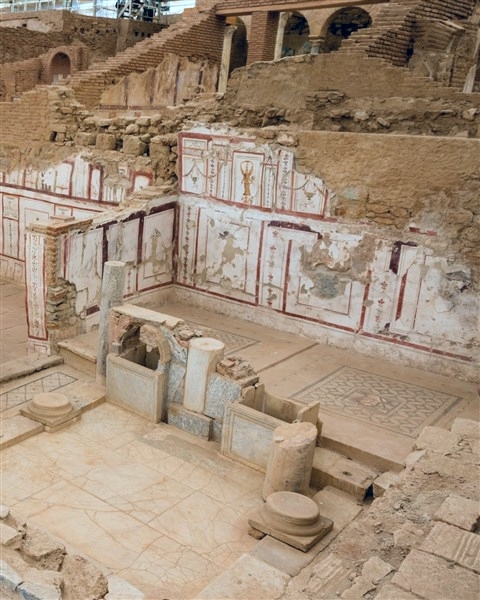 The houses were all covered with incredible mosaic decorations with very high sense of fine art and most of them were found complete by archaeologists. Gaziantep seems that it is not on top of the list of Turkish cities that tourists would want to visit. In fact this exoticcity is an undiscovered pearl. It doesn’t attract tour crowds that it deserves because it is being shadowed by Istanbul, Izmir, Antalya or other most popular tourist destinations in Turkey. If you ever decide to discover its hidden beauty, -after or before visiting Zeugma Museum- we highly recommend you to have a lunch break at a local restaurant where your palate will be delighted by the local but very famous dishes of Antep. Last year, Gaziantep cuisine was added to UNESCO list and the city became one of the world’s “capitals of taste.” At the end, don’t forget the crown your meal with a piece of unforgettable baklava that comes with a cup of coffee. You know what they say think global, eat local! The Turkish and Islamic Arts Museum is housed in the historic Ibrahim Pasha Palace from the Ottoman Period and it is a top ten do not miss destinations in Istanbul. The stone Ottoman building itself is a historic monument as it was gifted to İbrahim Pasha by Sultan Süleyman the Magnificent in 1521. The museum is home to a stunning collection in excess of 40,000 items from Turkey and many other parts of the Islamic world, which span over many centuries. It has recently been renovated and you can find excellent English descriptions including information of the history of the artifacts and times from which the artifacts came. It also has a nice coffeehouse facing the Hippodrome and the Blue Mosque. After seeing the artifacts, you can enjoy a cup of Turkish coffee with a nice view! The Museum of Great Palace Mosaics is located in Arasta Bazaar within the Sultanahmet Mosque compound. The museum has a collection of the mosaics on the Imperial Palace floors from the old Byzantine period and they depict the scenes such as hunting, feasts, love and nature astonishingly in their perspective art. Some of these scenes include lizard eating gryphon, elephant and lion fight, lactation of mare, goose herding children, goat milking man, a child feeding his donkey, a young girl carrying a pot, apple eating bears, and fight of hunter and tiger. Once they were decorating the palace floors hundreds of years ago however they still have dramatic affects on modern-day eyes. They will make you think about how Romans were talented than we thought and you won’t believe how mosaics are well-preserved after almost 1400 years. Ephesus is the most visited ancient city of Turkey and most likely it is the best spot to understand what life was like back in the Roman Period. It is one of the largest anicient sites in the world and it has still been excavated by Austrian Archaeological Institute. The best of the archeological objects excavated at Ephesus, tweezers, combs, medical instruments, potteries and coins, statues, the jewellery, reliefs etc. are on display in Ephesus Archaeological Museum. Some artifacts are from Ephesus's great Temple of Artemis, and finds from some of the many other significant ancient Hellenic, Hellenistic and Roman cities in the region. The Artemis room is something else to behold - the 2 statues of Ephesian Artemis are completely breathtaking and marvelous. Either before or after Ephesus visit, you must include this museum to your schedule if you want to know anything about Ephesus and it is just 5 min drive to the ancient city. 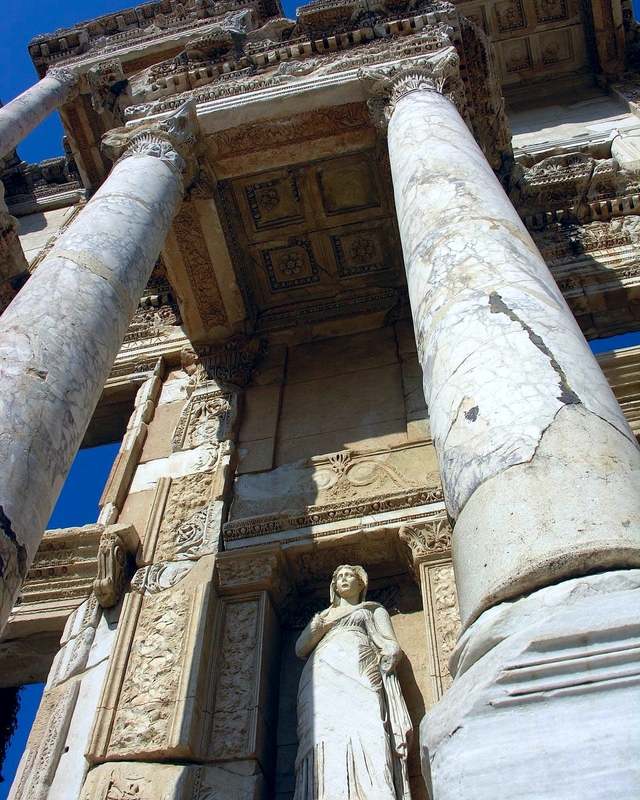 Aphrodisias is another worth-visiting ancient Roman city in Turkey. It is in between Ephesus and Pamukkale. The name of the city is derived from the goddess of love, Aphrodite – called Venus by Romans- , who has her famous sanctuary here. Some say that this city is much more impressive than Ephesus but somehow it is not as famous as. So, there is no big tour crowds and noise here, unlike Ephesus. It is located in the green country-side and laid on a skirt of a mountain. While Roman structures made of white marble are glittering under warm Aegean sun, you can benefit from the cooling breeze blowing from the mountains at the same time. Apart from the stadium, the temple of Aphrodite, Grand Theatre, the Sebasteion and Odeon, Aphrodisias had a sculpture school so it is no surprise the city is literally full of Roman statues which are being displayed in the Archaeological Museum of Aphrodisias. The museum is not outside the ancient city, in fact it is located right at the entrance of it. You will be fascinated in the museum by hundreds of ancient statues which look like capable of moving. They are so exquisite and vivid. Each statue is depicting a story from Roman Imperial History and Mythology. So if you hire a professional tour guide, you’ll be informed about the background of what you are looking at. When it comes to ‘’Bodrum’’, tranquil beaches, typical white-blue washed, Mediterranean type houses, narrow and cobblestoned streets, historic windmills come to mind. In fact Bodrum offers more than these. It is a historical resort town in southwest Turkey. It is just by the Aegean Sea facing a Greek Island. Travel site Trip Advisor revealed its Travelers' Choice Destinations on the Rise in 2014. The awards highlight spots around the world that have received the greatest increase in positive feedback and interest from TripAdvisor members, year over year and Bodrum is among nine other destinations in the world. In the ancient times, Bodrum was called Halicarnassus and one of the seven wonders of the Ancient World namely Halicarnassus Mausoleum was here! 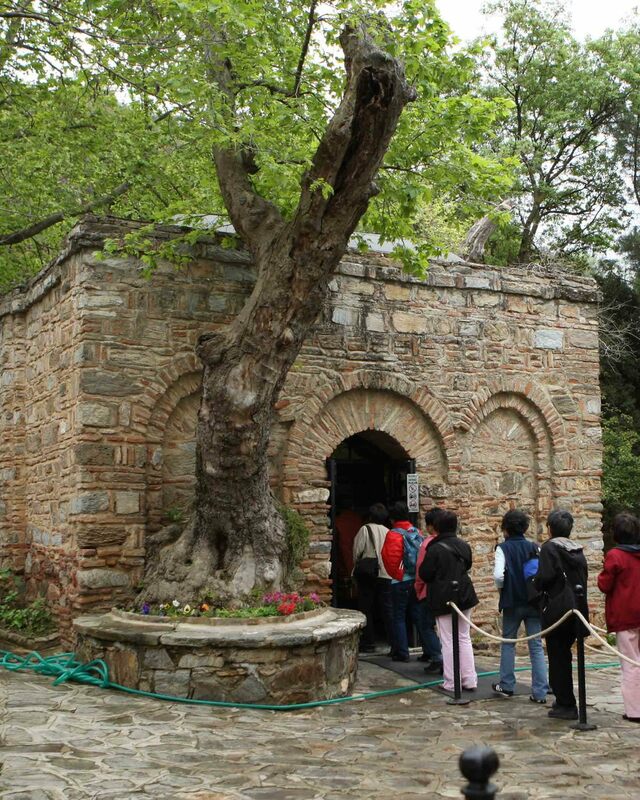 Today apart from the ruins of the Mausoleum, there is one other –probably the most prominent- historical spot in Bodrum. It is the St Peter Castle which serves as Bodrum Museum of Underwater Archaeology. Even if you are not history buffs or museum lovers, this one will thrill you! The world’s biggest Eastern Mediterranean Amphora collection is on display here. The Bronze Age Shipwrecks exhibit displays interesting findings recovered from sunken trading vessels discovered by local sponge divers. The wisely-arranged exhibition shows what the ships looked like when they were in use. The world’s oldest known shipwreck which was discovered at Ulu Burun in 1982 is also being displayed here. Apart from all, what makes this one unique is that the medieval Castle’s architecture will give youa feeling like you are in Game of Thrones scenes and remember to climb the English tower where you will face the most beautiful view Bodrum. Anatolia is the oldest name for Turkey and it means ‘’where the sun rises up’’. Modern Turkey is a young country as it was founded in 1923 in Anatolia however the human habitation in Anatolia dates back to the Paleolithic and it has continuously been inhabited since then. It is one of the oldest countries in the world and thousands of archaeologists have been missioned to reveal the historical richness of this unique homeland. The Anatolian Civilizations Museum is situated in Ankara, near the Old Castle and it has a number of exhibits of Anatolian archeology. The exhibition starts with the Paleolithic era, and continues chronologically through the Neolithic, Early Bronze, Assyrian trading colonies, Hittite, Phrygian, Urartian, Greek, Hellenistic, Roman, Byzantine, Seljuq and Ottoman periods. Excellent exhibit organisation brings history to life as you walk round. The museum building has also its own history as it is an old stone Ottoman building. The museum has an international reputation by being elected as the first "European Museum of the Year" in Switzerland on April 19, 1997. What makes the museum most remarkable is it was established because of Atatürk's desire whose mausoleum is very close to the museum. After Mevlana died in 1273, he was buried in the Rose Garden of Seljuq Palace and his successors built a mausoleum over his grave. Especially during the Ottoman Period, the mausoleum was enlarged and decorated with the most striking Islamic art works and over time it became a dervish-training school. Old dervish musical instruments, including the ney, or Mevlevi flute, antique prayer carpets—one, of silk, with more than four million knots!—, illuminated Kur'ans, the relics of the Prophet Muhammed, the items used by dervishes and Mevlana’s personal items himself are being displayed here. Don’t forget these artifacts are over seven centuries old! The museum entrance is free and it is not important only to a certain people of faith. There is a very special energy here for any kind of spirituals. During your visit; the sound of the Sufi instrument reed and the colorful paintings and calligraphic works around the tomb area will take you for a journey into your spirit. Here, just close your eyes for a couple of minutes, silence your inner-talking, free your mind from all worries and let your spirit be mingled..
Much of what is now modern Turkey was a large Roman territory in the past. Romans called the country Asia Minor which means Little Asia and today you can visit ancient Roman cities scattered all around the country and Myra city in the Mediterranean shore is one of them. Apart from the Roman structures around, there is Byzantine church here which is housing the grave of Santa Claus Saint Nicholas, known throughout the world as Santa Claus, was born in Asia Minor. He became the Eastern Orthodox bishop of the ancient city of Myra in the 4th century, and is an important religious figure for Eastern Orthodox Christians today. A church was built where his grave is located and was later transformed into the Santa Claus Museum. The church is regarded as the 3rd most important Byzantine structure in Anatolia. It is noted for its remarkable wall frescos, and its architectural and religious significance and it is in UNESCO World Heritage List. Today, Ephesus is the most visited ancient site of Turkey with 1.800.000 visitors in 2014. Since the beginning of 2015, it has been in UNESCO World Heritage List. People are coming from all over the World just to see and live that unique travel experience in Ephesus. Even the kids enjoy this unique Roman city, when they see the depictions of Greek and Roman gods like Hermes, Artemis, Hercules etc. Adorning all over the place. It is not only important for history and archaeology lovers, it is also a place to visit for devout Christians too, as it is the final resting place for Mother Mary and John the Apostle. 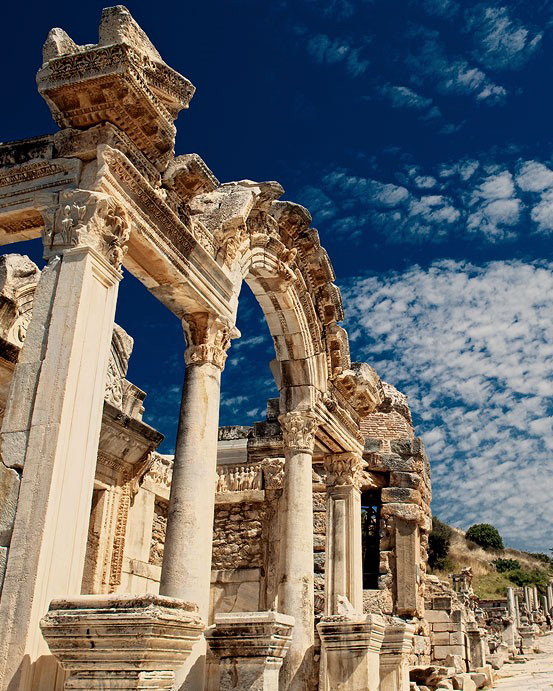 Here is the top 10 reason why you should see Ephesus Ancient City during your trip in Turkey. You can book your trip via One Day in Ephesus or you can ask your questions to local professional tourist guides who are living and working in Turkey. Yes, Ephesus has the ruins of a gigantic temple dating back to 4th century BC. Actually it was that impressive building making Ephesus so impressive and prosperous. Probably, this is the most pictured and most impressive monument in the city. Who does not want to click a photo with that one which was holding 12.000 hand-written scrolls? Here is a really special and exciting section in Ephesus which is covered with a special roof to protect two thousand yer-old Roman mosaics and frescoes. Austrian archaeologists have been carefully working here to clean and preserve these art pieces. Did you know that Romans had no privacy in their public toilets and only men were allowed to use them? Latrines were the best place to learn about latest gossips in Ephesus. Ephesus was the most important city of Asia Minor and today it still holds its biblical significance. Because one of the twelve disciples, John brought Mother Mary to Ephesus with him. Today a great histocial church stands over his grave near Ephesus. This temple was built for the Empreror Great Hadrian visited the city in 128 A.D. It is not an ordinary building, it has a lot to tell to its visitors. Every eye-catching detail on it including Medusa and Amazon depictions have special meanings and stories behind. Would Ephesus be such important without this grand amphitheatre? Absolutely not! People of neighbouring cities were coming to Ephesus to watch bloody gladiator shows which were held here. Imagine 25.000 people were cheering here at the same time, while the soft cool breeze from the Aegean sea was blowing around their hair and gladiators were fighting to death. There was fear and excitement in the air. Death or surival? Such a dramatic vision! Ephesus is home of the Virgin Mary House which is believed to be the final residence of Mary and it is officially recognized as a pilgrimage spot for Christian by Vatican. How come did Mother Mary end up here in Ephesus while Jerusalem is thousands of kms away from Asia Minor? 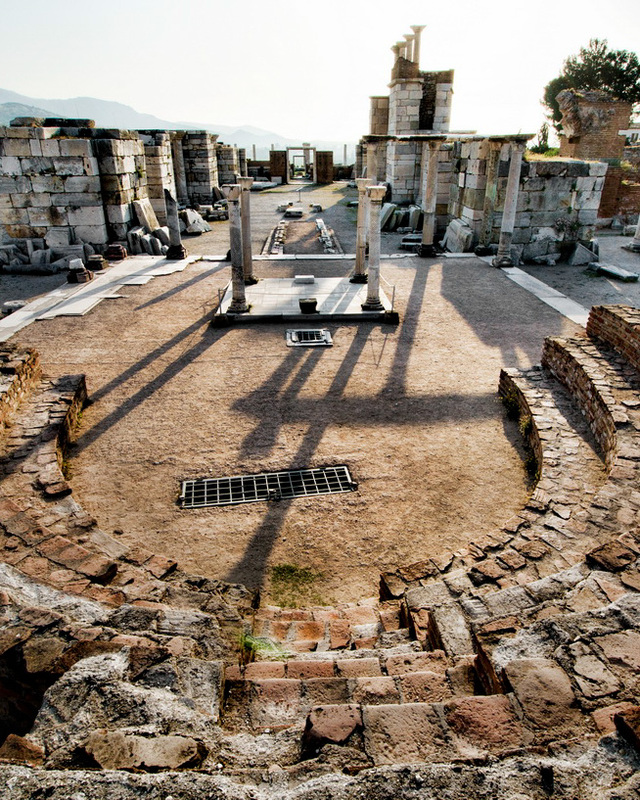 Was there a special reason behind why John chose Ephesus as the final residence for her? If you are willing to hear answers, you should be here and feel the vibe! St. Paul gave a sermon in Ephesus against Artemis and this is mentioned in the bible. Today Ephesus is one of the seven churches of revelation and an important pilgrimage place for Christians. 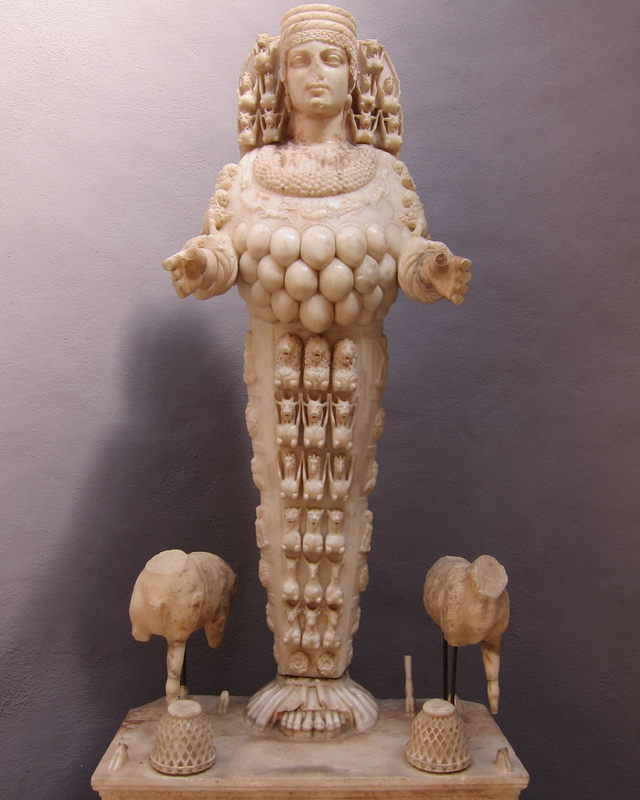 Hundreds of statues sculpted by talented artists of Ephesus, every-day items from Roman period, two-thousand year old medical instruments, perfume containers, mosaics and many others will complete the puzzle when you visit Ephesus Museum. Then, you will have a complete idea about what life was like thousands of years ago. In this video, Joe Stowell, one of my favourite writer talks about Ephesus and The 7 Churches of Revelation. 1. It has one of the world’s oldest and biggest malls. Istanbul’s Grand Bazaar, or Kapalı Çarşı, dates to 1455 and was established shortly after the Ottoman conquest of Constantinople. Over the centuries it has grown into a warren of 61 streets lined by more than 3,000 shops and currently occupies a nearly 333,000 square feet. You’ll never possibly be able to explore it all, but that doesn’t keep people from trying — according to Travel + Leisure, the Grand Bazaar was the world’s #1 attraction in 2014, drawing over 91 million people. 2. You might find chicken in your dessert. The signature Ottoman treat is tavuk göğsü, or chicken breast pudding. It’s a strange blend of boiled chicken, milk, and sugar, dusted with cinnamon. And it’s delicious. Look for it on menus across the country. 3. Turkey is packed with cultural heritage. In fact, there are 13 spots in Turkey inscribed on UNESCO’s list of World Heritage Sites, and a whopping 62 on the tentative list. They range from a Mesolithic temple (Göbekli Tepe) to a Biblical city (Ephesus) to a World War One battlefield (Gallipoli), and help make Turkey the sixth most-visited tourist destination in the world. 4. Santa Claus is from Turkey. Saint Nicholas was born far from the North Pole, in Patara. And he’s not the only saint with connections to Turkey — the Virgin Mary’s resting place could be near Ephesus, while Saint Paul was from Tarsus in the south. Other Biblical figures include the Prophet Abraham, born in Şanlıurfa. And after the deluge, Noah may have run his ark aground at Mount Ararat. 5. One of the Mediterranean’s primary sea turtle nesting beaches is here. İztuzu Beach, just west of Fethiye, is a major breeding ground for the endangered loggerhead sea turtle. The turtles arrive between May and October, climbing ashore at the exact site of their birth to lay a new generation of eggs. The beach sees around 300 nests dug each year, and government regulations have succeeded in balancing tourism with the need to protect and conserve this precious natural resource. Just down the coast, Patara is the longest beach on the Mediterranean (12 miles of pristine white sand dunes). 6. Turkey gifted tulips to the world (you’re welcome, Netherlands). It’s uncertain where the first tulips were grown, but what is known is that the Ottomans popularized the flower and facilitated their introduction to Europe. A simultaneous export? Tulipmania. The seeds of the world’s first speculative bubble were sown when a Flemish ambassador to the 16th-century court of Süleyman the Magnificent brought back the bulbous flowers to Holland. Other commodities for which Europe owes a debt of gratitude to Turkey are coffee and cherries. 7. More than 130 peaks reach over 9,800 feet (3,000 meters). Don’t let the balmy coastal climate fool you. Turkey is home to spectacular mountain ranges, and wintertime visitors can hit the slopes at nearly a dozen resorts. Palandöken, in the eastern province of Erzurum, is Turkey’s highest at 10,200 feet (3,125 meters) and claims Europe’s longest natural ski run. 8. Istanbul has one of Europe’s most exciting art scenes. The edgy Istanbul Biennial, now in its 14th edition, is a must-see for the international art crowd, and with more than 300,000 visitors in 2013, it ranks among the top contemporary art shows in the world. In 2015 the show will occupy 30 venues on both sides of the Bosphorus. 9. You can cross continents underground. Istanbul may be Europe’s largest city, but half of it actually extends into Asia. More than a century after a sultan dreamed of a rail link beneath the Bosphorus Strait, Turkey opened the Marmaray metro line in 2013. The former imperial city is also home to the Tünel, a short funicular that’s the second-oldest continuously running underground railway after London’s. 10. The seeds of agriculture were first sown in Turkey. Historians believe agriculture began in these lands some 11,000 years ago. At sites like Çatalhöyük, in south-central Turkey, there’s evidence that the residents of this proto-city added crops like wheat and barley to their diet, and wild grasses genetically identical to those first domesticated grains still grow in southeastern Turkey. Even today, the country is the world’s 10th-biggest grain producer. 11. It’s home to some of the most important sites in Christendom. Turkey’s population may be 99% Muslim, but these lands draw tens of thousands of Christian pilgrims each year. The Ecumenical Patriarch, spiritual leader of the world’s 300 million Orthodox, lives in Istanbul, a vestige of the Byzantine Empire. The grotto dug by the Apostle Peter in Antioch was the first Christian house of worship, while a 1st-century patriarchal church is said to have been located underground in today’s unprepossessing Istanbul district of Fındıklı. Istanbul is also home to the 1,500-year-old Hagia Sophia cathedral, now a museum. And the Armenian Apostolic Church was founded 1,700 years ago in what’s today the city of Kayseri. 12. Oil wrestling is the national sport. The spectacle of two bulky men stripped to the waist, doused with olive oil, and grappling under the hot Thracian sun is a 654-year-old sporting tradition and sight to behold. Camel wrestling tournaments, held throughout the Aegean region in the winter, and bull wrestling near the Black Sea, are also popular. 13. People were building temples here back in the hunter-gatherer era. Prior to the mid-1990s, it was assumed that large-scale human constructions weren’t undertaken until early peoples mastered agriculture and established permanent settlements. But then the archaeological site of Göbekli Tepe was discovered in southern Turkey, with evidence of monumental construction taking place at least 2,000 years before the accepted timeframe of the agricultural revolution. Building at Göbekli Tepe also predated the inventions of pottery, written language, and the wheel. 14. Turkey’s film industry is booming. When director Nuri Bilge Ceylan’s Winter Sleep won the Palme d’Or at the Cannes Film Festival in 2014, it crowned a decade-long revival in Turkish cinema that’s seen productions rise five-fold to about 100 films per year. Turkey is one of the few countries where domestic films rake in more at the box office than Hollywood’s offerings, and its movies and television series are a major soft-power export in the Middle East. 15. A new type of plant is discovered every 10 days. And Turkey’s 10,000 plant and 80,000 animal species help rank the country among the world’s 35 biodiversity hotspots. Twitchers can visit more than a half-dozen bird sanctuaries for sightings of some of the country’s 475 aves, or 5% of the global variety. It’s a great place for flower lovers, too — see highlights like the native Fritillaria imperialis, above. 16. Turkey really is the center of the world. You can fly to just about everywhere from Istanbul Atatürk Airport, thanks to flag carrier Turkish Airlines’ 260-and-counting destinations. A modern fleet of aircraft served by kid-friendly crew has helped the fast-growing airline win Best Airline in Europe for four years running. 17. Despite appearances, Turkish is surprisingly easy to learn. The tongue-twisting, 70-letter Muvaffakiyetsizleştiricileştiriveremeyebileceklerimizdenmişsinizcesine, or “as if you are from those we may not be able to easily make a maker of unsuccessful ones,” is thought to be the longest word in Turkish, an agglutinative tongue whose dialects are spoken across a swath of Asia all the way to western China. Yet Turkish is pretty easy to pick up, following a language reform in the 1920s that simplified the vocabulary and moved from the Arabic script to the Latin alphabet. Come and give it a shot! Scattered around the Mediterranean coast of Turkey lie the remains of the ancient theaters of the Greek and Roman world. 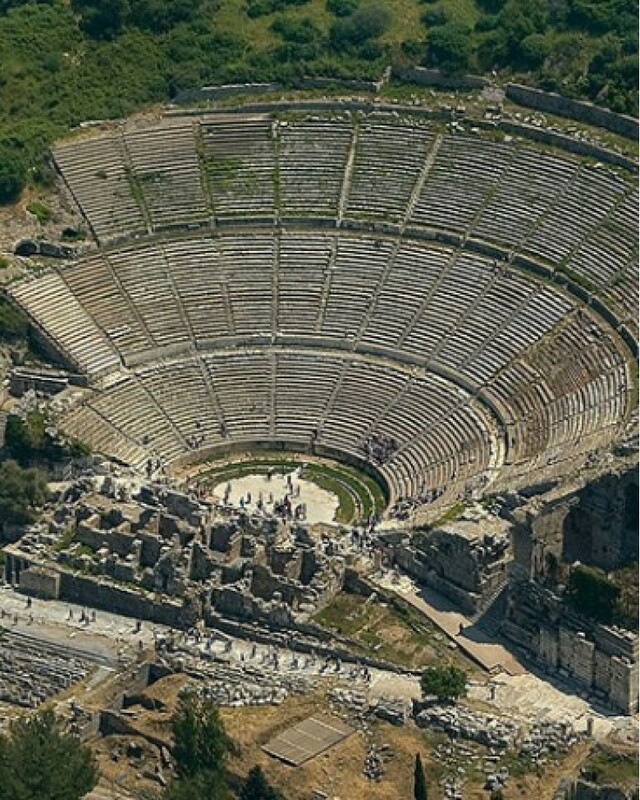 Approximately 150 amphitheatres are known to have existed in the ancient period of Anatolia, which hosted Greek and Roman civilizations. Scientific excavations have been conducted in a number of these. Some of the theatres are still intact, and a few of them, such as Aspendos Theatre, have been preserved in a condition that allows them to be used in the present day for performances on a grand scale. A great number of theatres have partially survived until today. Turkey has the some of the best preserved and most amazing ancient theatres of Greek and Roman civilizations in the world. Here is the list of almost all the ancient theatres known today.